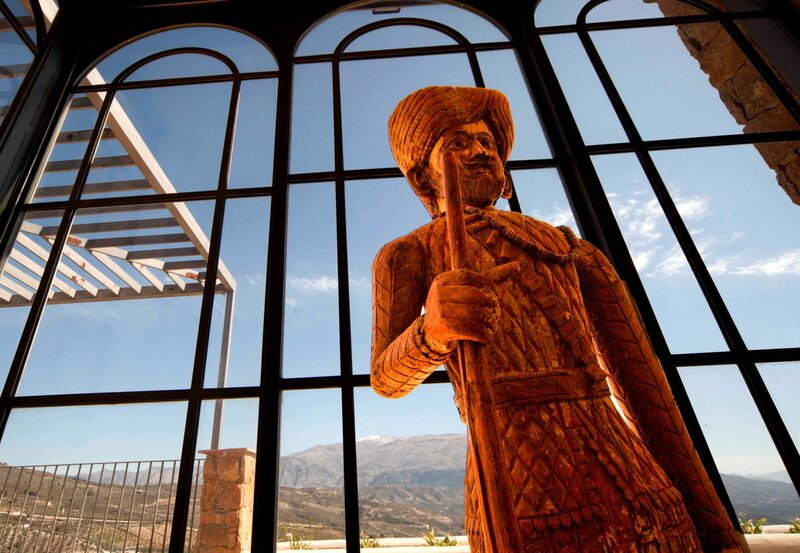 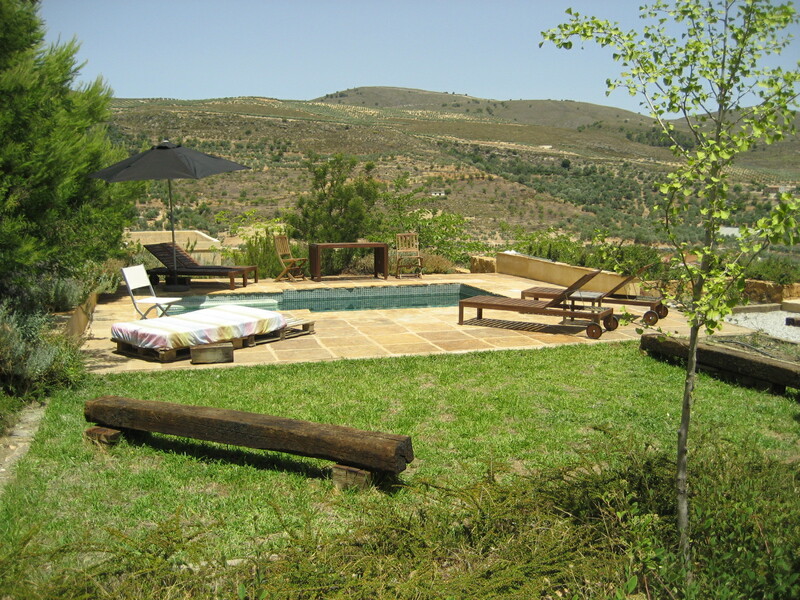 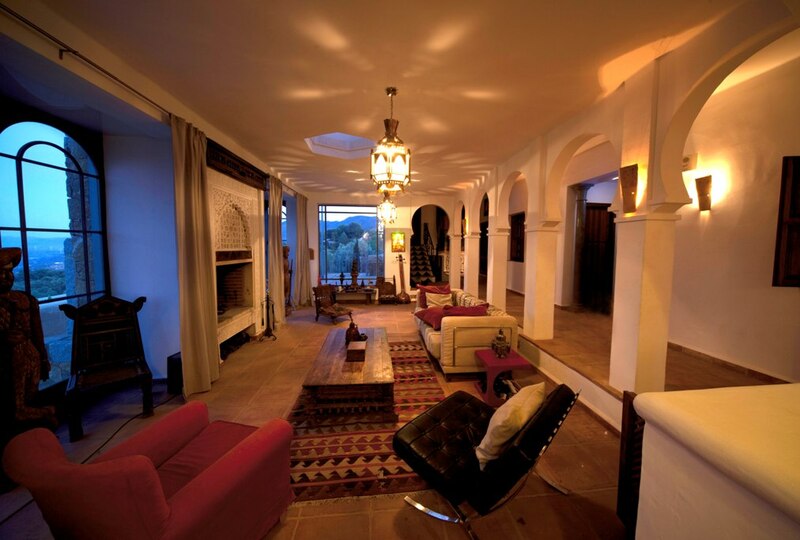 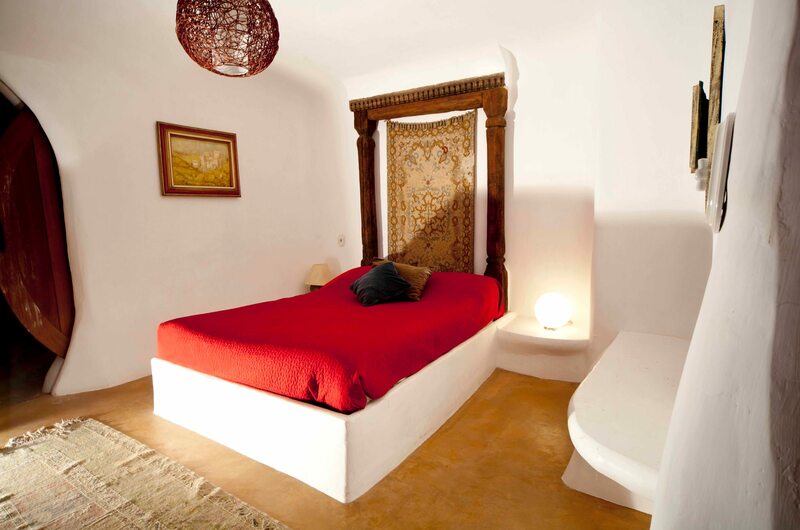 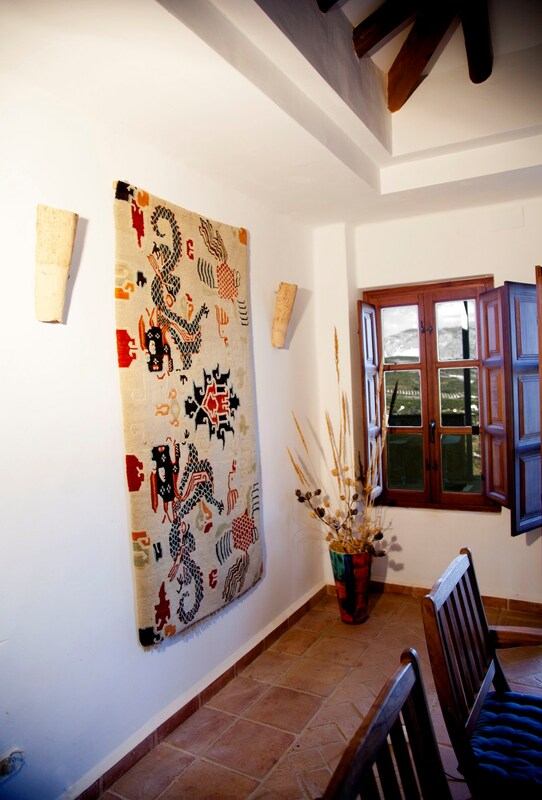 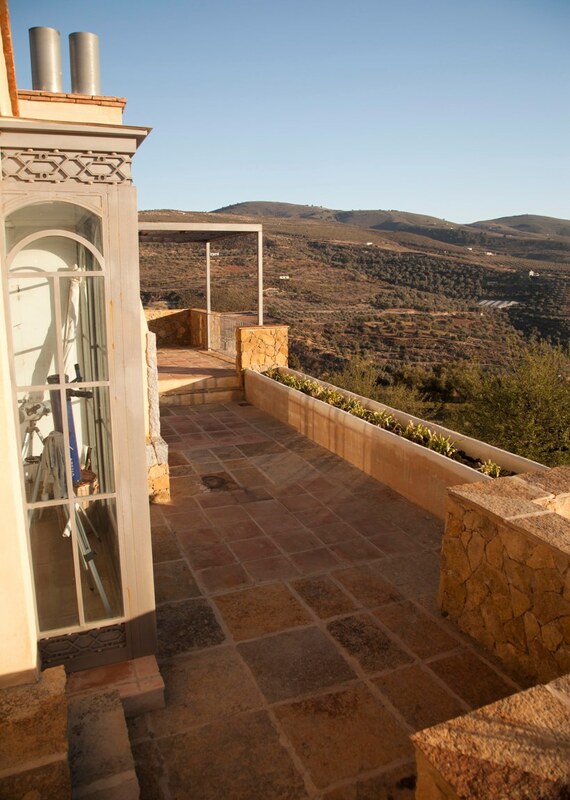 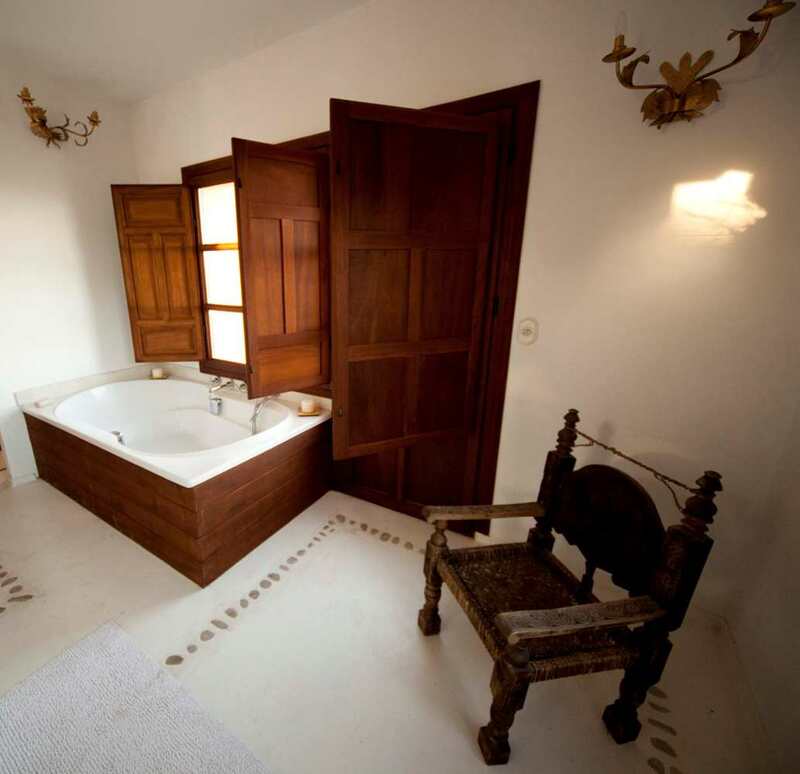 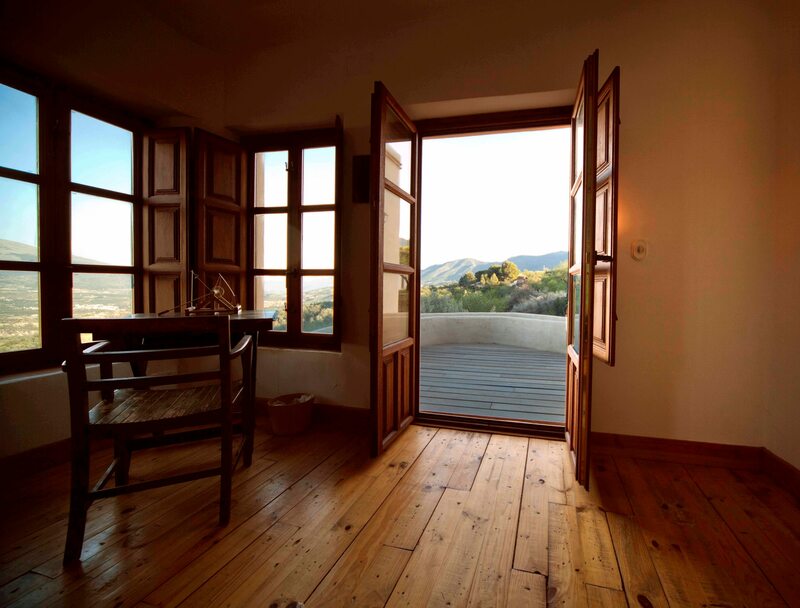 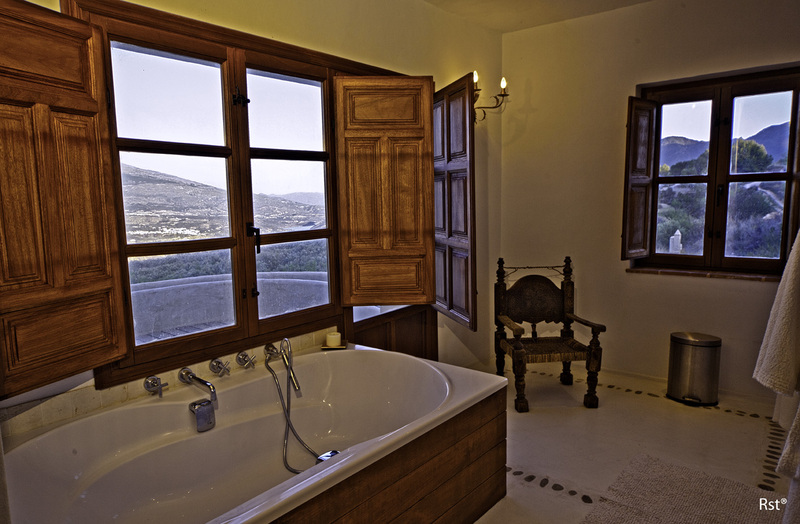 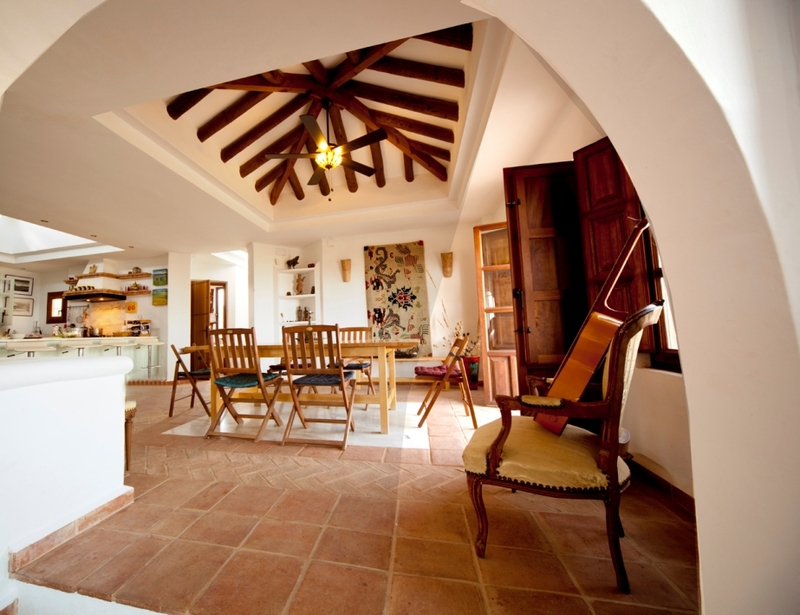 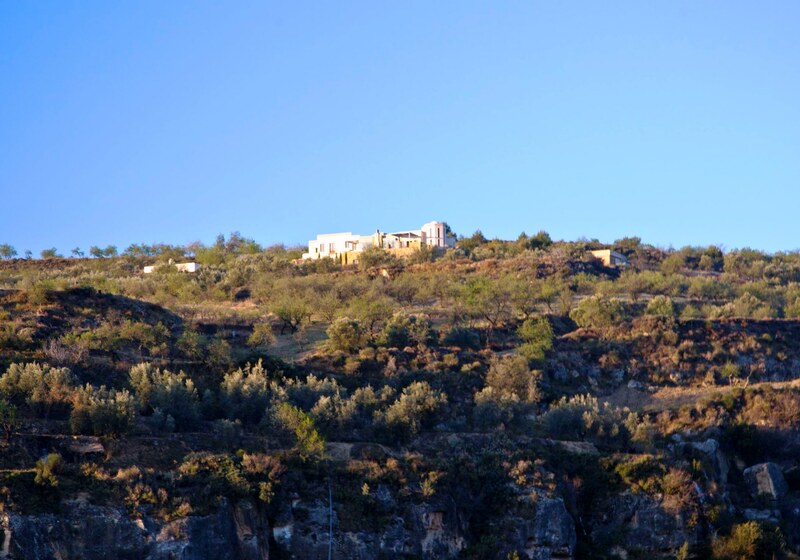 el mirador de la sierra ........ for an unforgettable rural holiday experience! 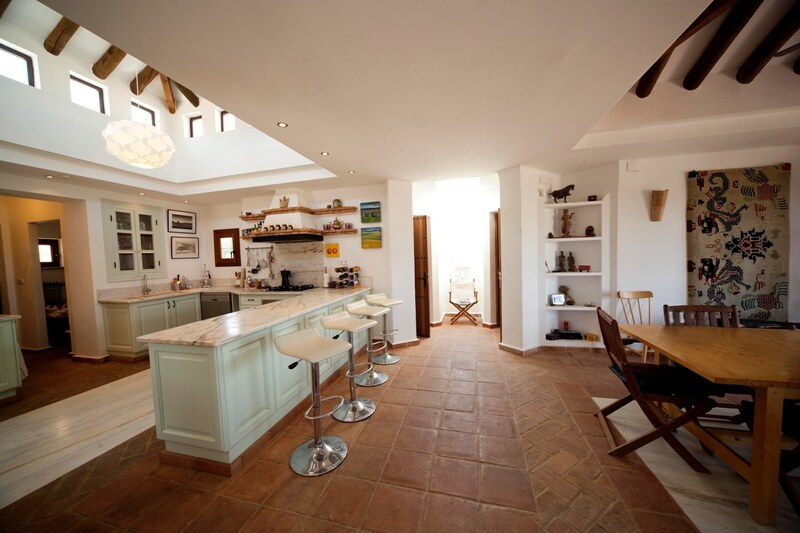 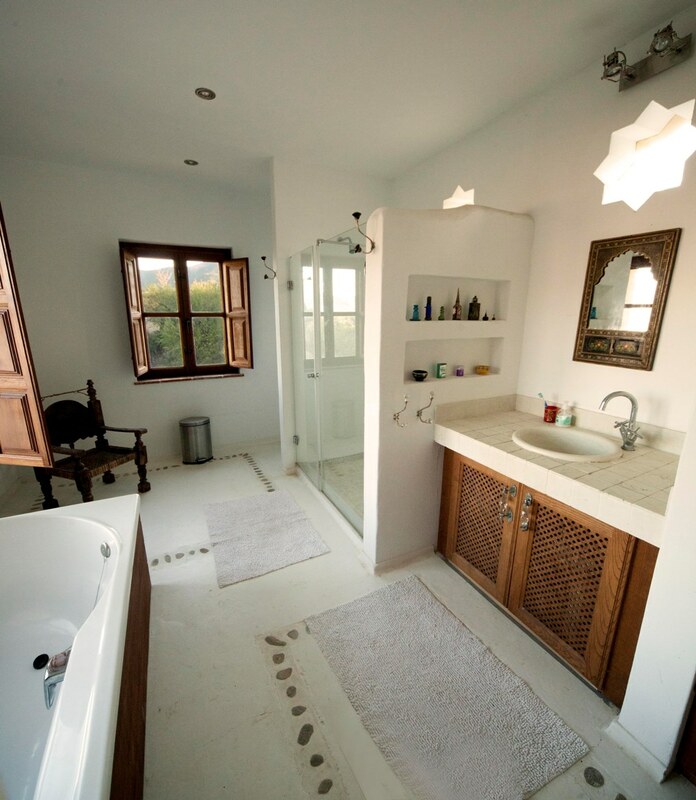 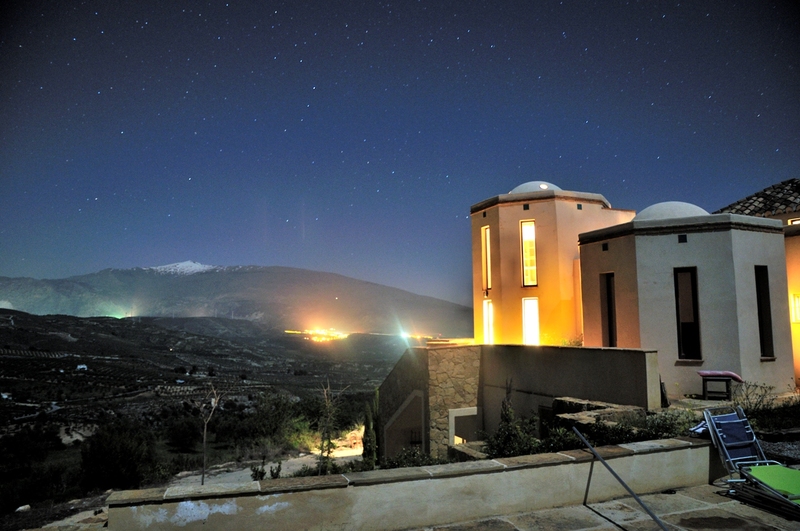 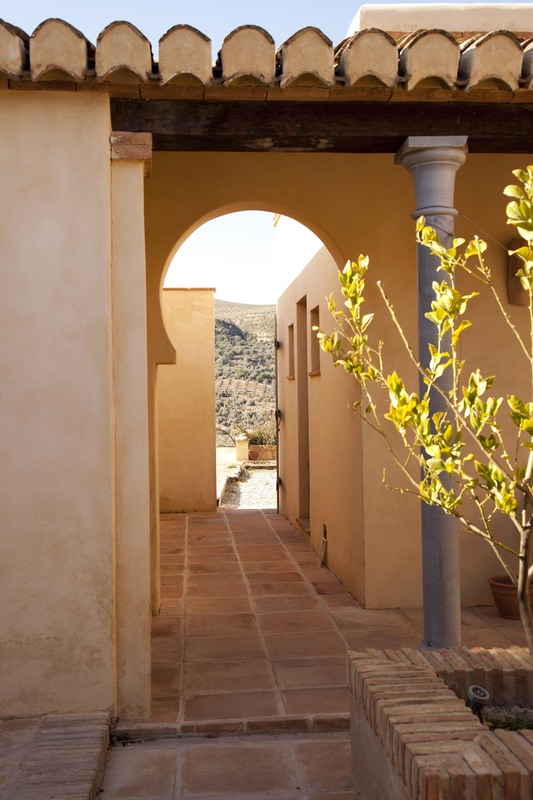 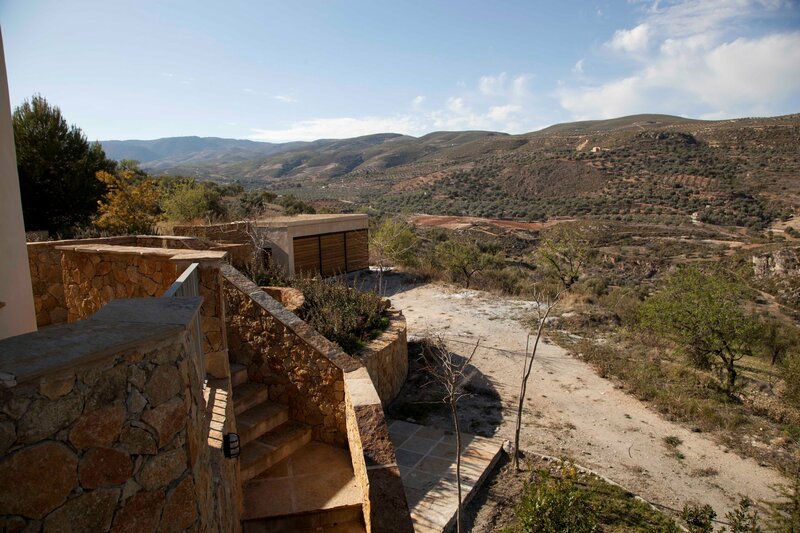 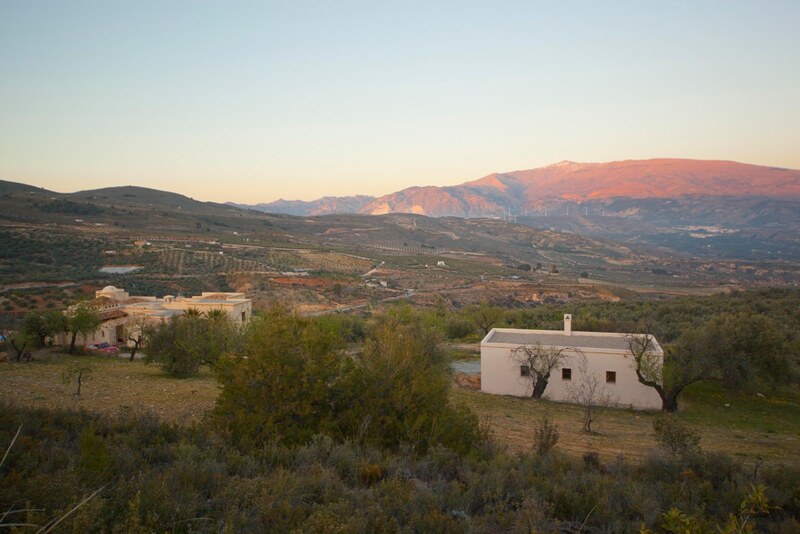 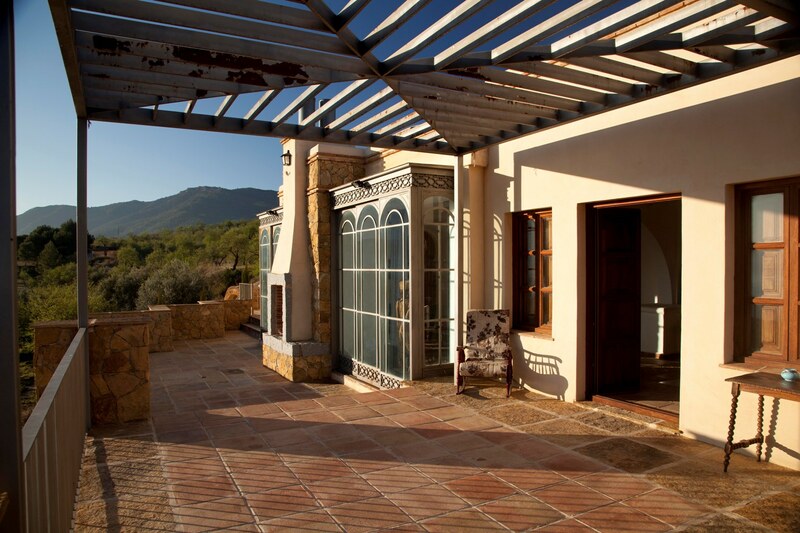 This unique and spacious property has unrivalled, panoramic views of the Sierra Nevada and the surrounding countryside and is ideal for large family holidays as well as yoga /meditation retreats, art workshops and corporate events. 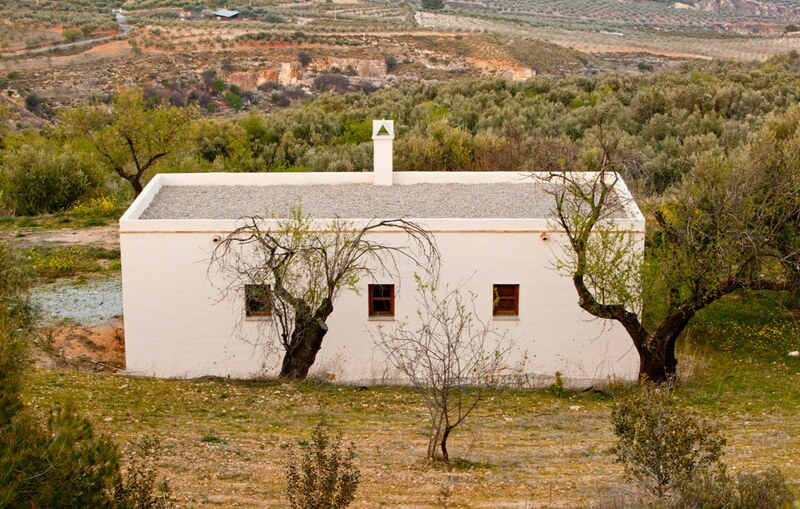 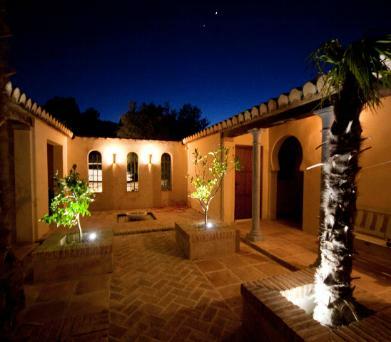 The large, private estate has many charming secluded areas and is just outside the mountain village of Albuñuelas, near Granada, Spain and is surrounded by National Park land and beautiful forests. 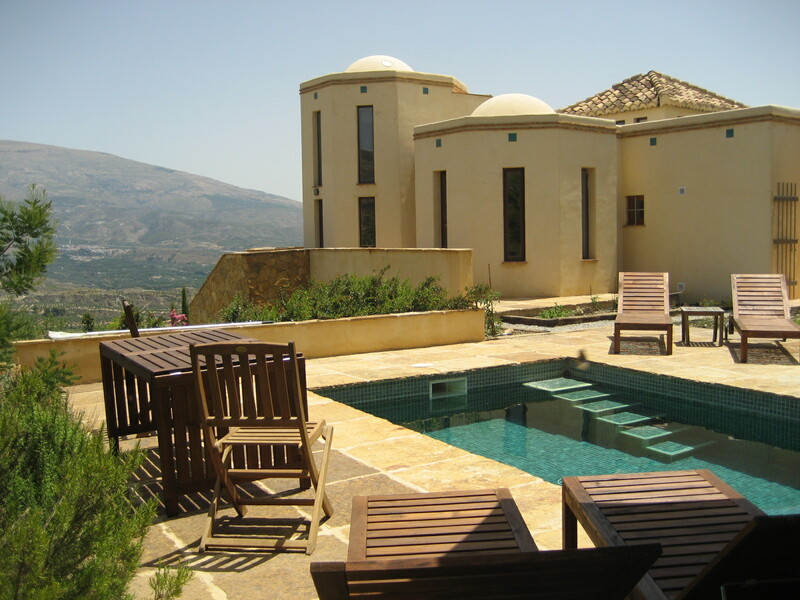 The owner of the property is a musician who has built a state-of-the-art recording studio in the house which is also available for hire. 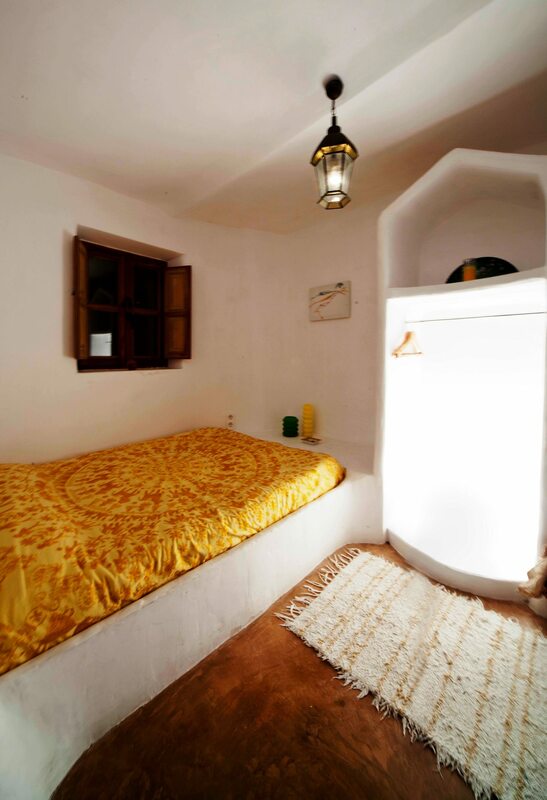 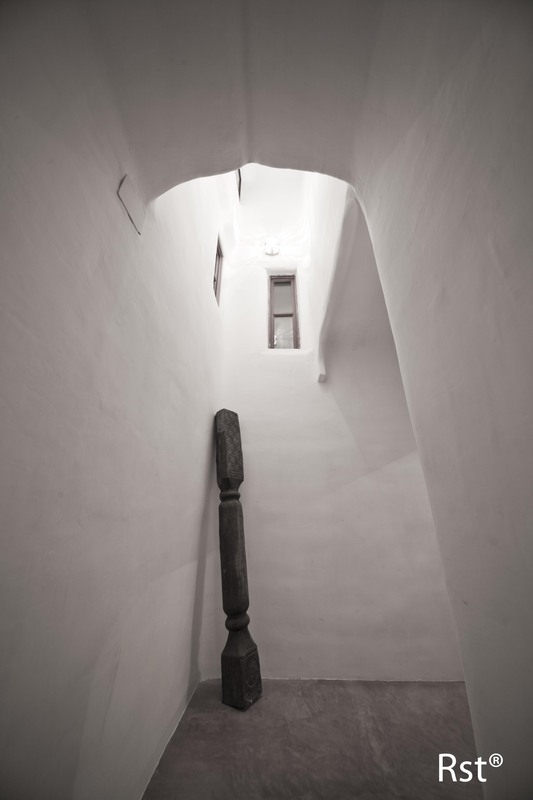 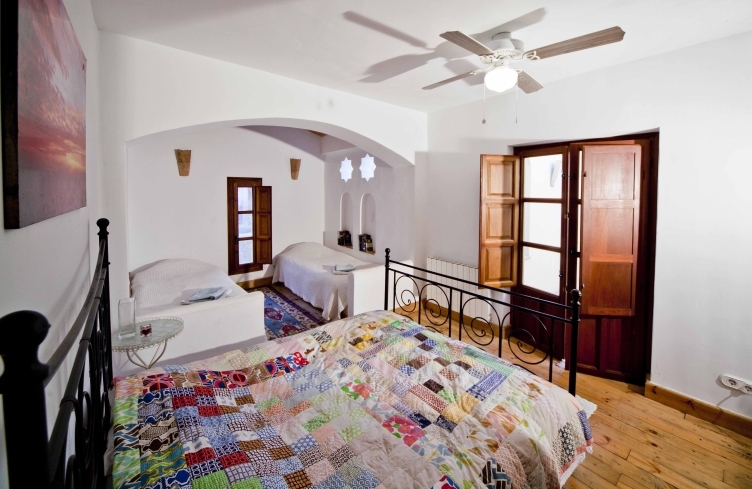 The main house has been designed thoughtfully to be multi-functional and has a possible capacity for 16 people in its 8 bedrooms plus there is also a separate 2 bedroom, 2 bathroom guest house sleeping another 4 people comfortably. 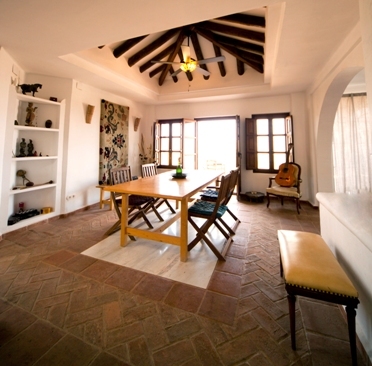 There is also an artists' studio below the pool area and the fully-equipped music studio has a large performance room and 4 further sound booths. 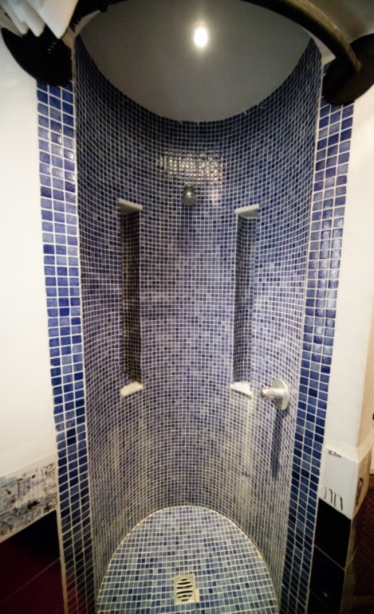 Many musicians have used these recording facilities and we can provide any technical support you may need for your project. 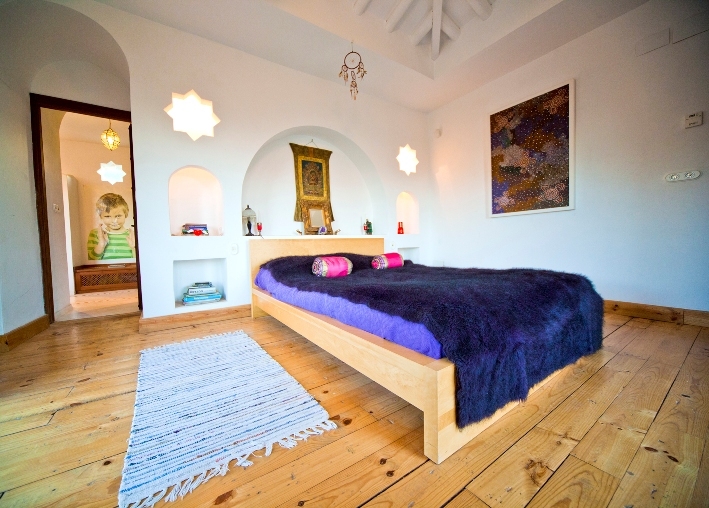 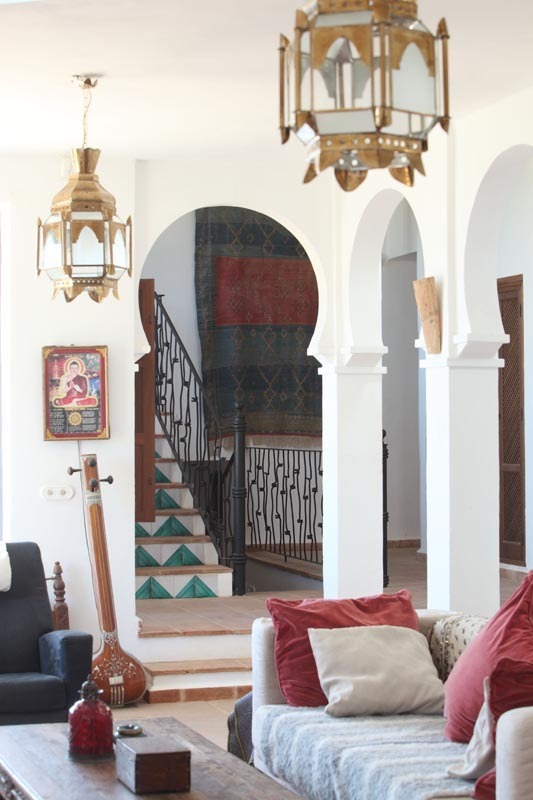 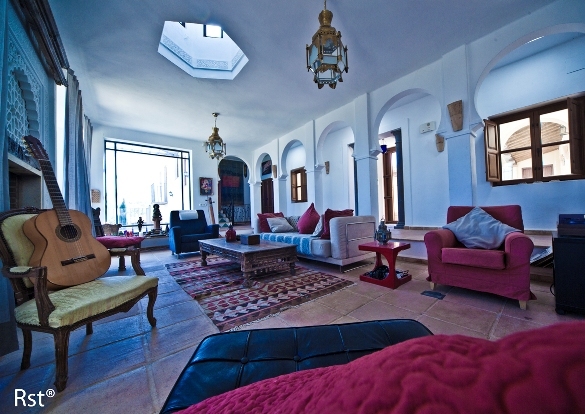 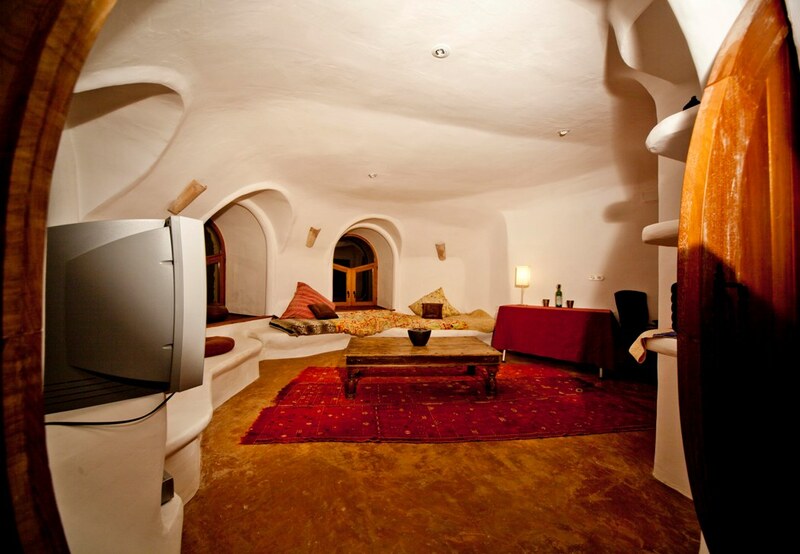 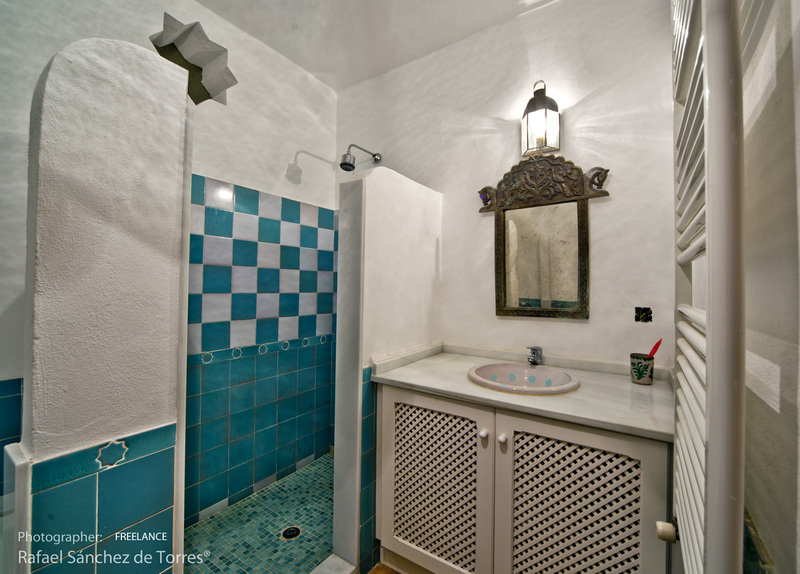 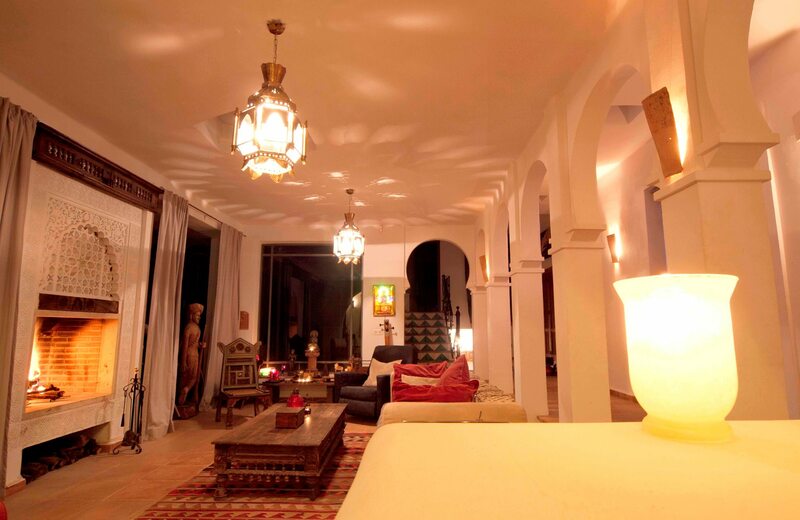 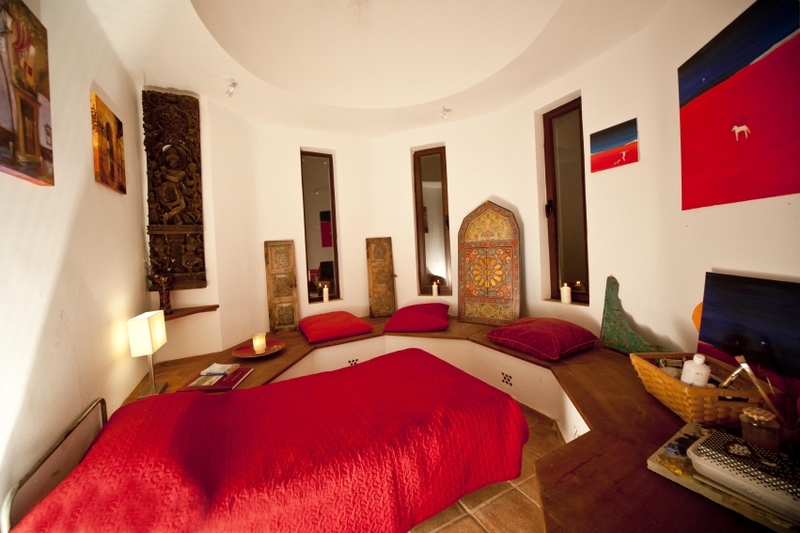 The property has an unusual modern Moorish architectural design, with high ceilings and large windows giving superb light everywhere. 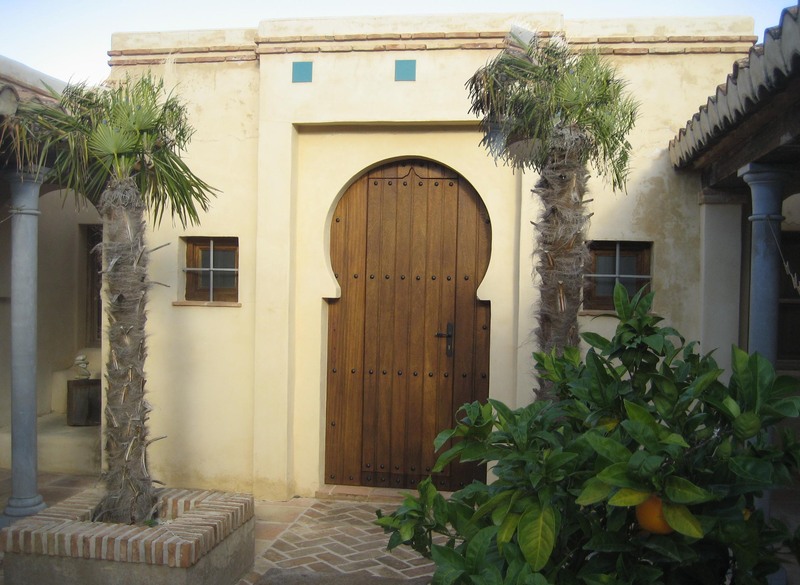 It is a wonderful place to visit any time of the year, only half an hour's drive from the unspoilt beaches of the Costa Tropical and half an hour also from the beautiful city of Granada with its many attractions. 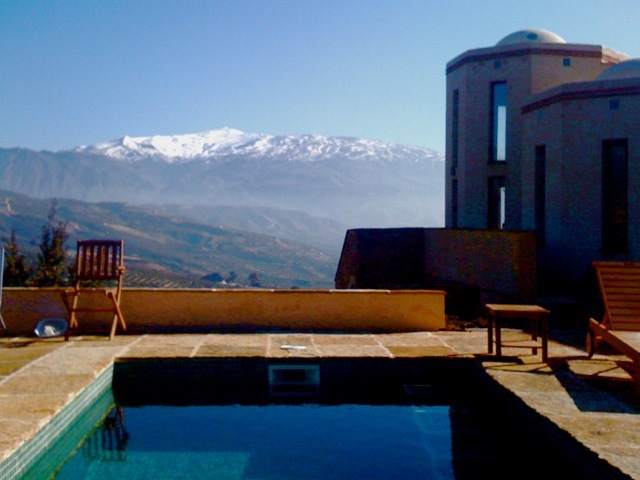 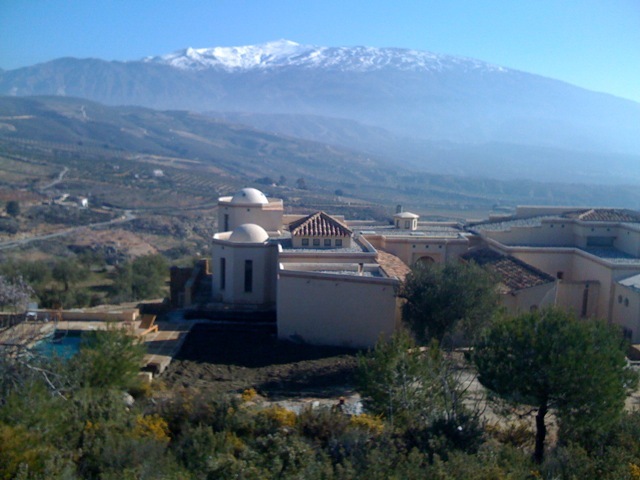 There is much to see and do in the area all year round and of course the popular ski resort of Sierra Nevada just above Granada is open usually between November and April. 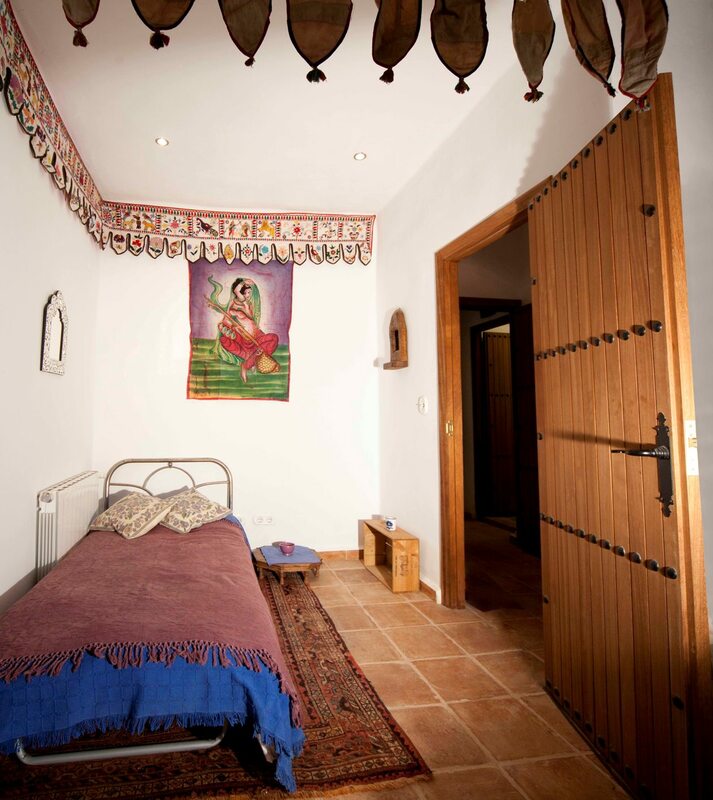 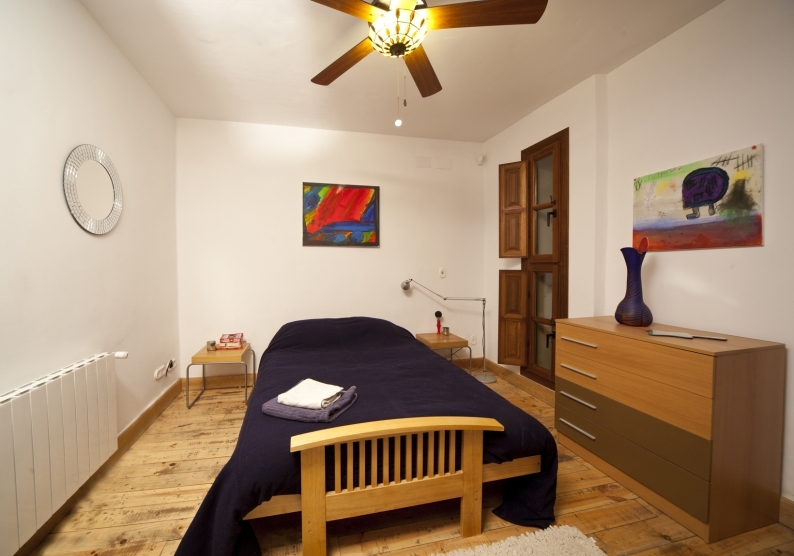 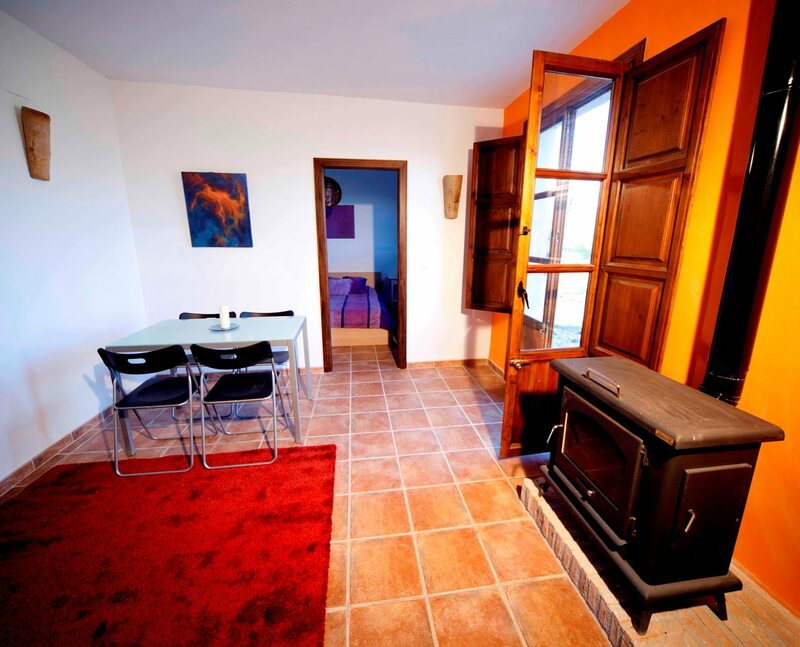 The property is fully equipped with internet wifi access, underfloor central heating as well as radiators in all the rooms, an open fire-place in the living room and fans in all the rooms. 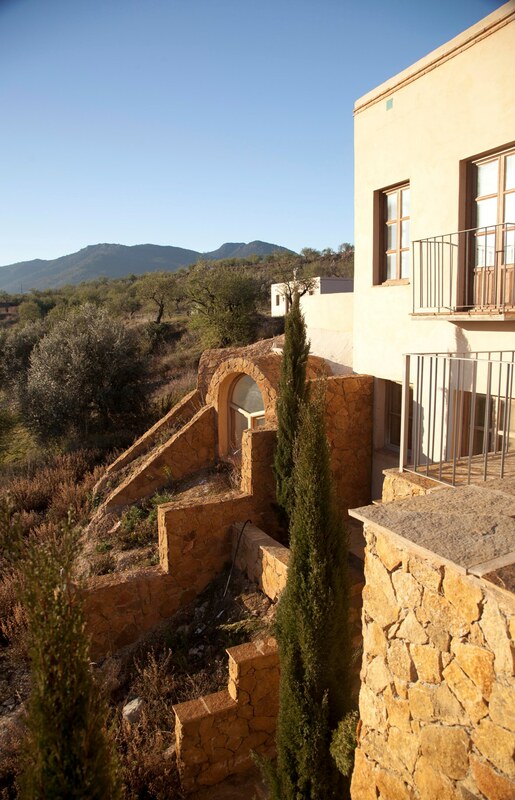 With decades of experience working in tourism and real estate in Spain, our bilingual team has a personal, friendly touch and a professional approach. 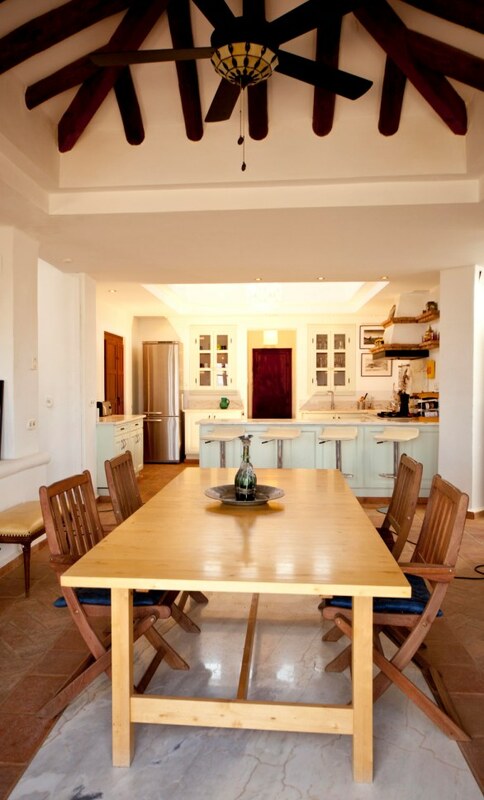 We are highly qualified and can provide you with all the tools and advice you need, especially in today’s rapidly changing, complex holiday market. 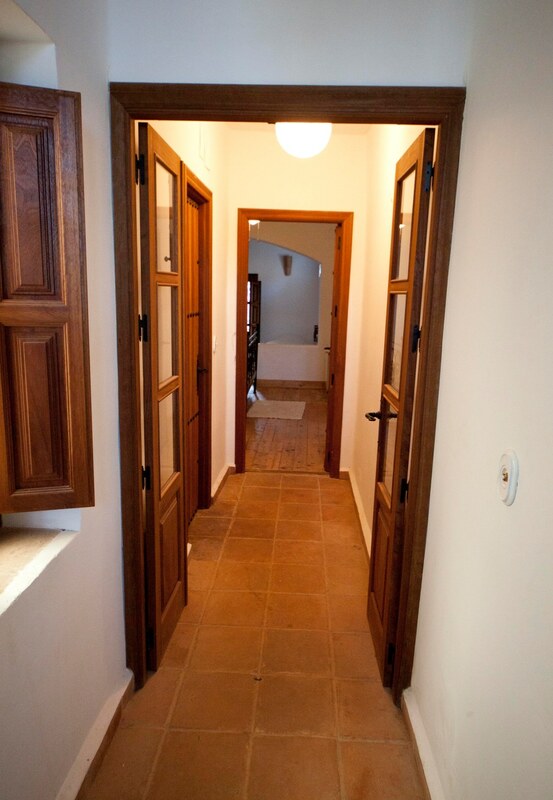 We are happy to answer any questions you may have about renting our home - contact us now!